"Just pull the sheets down, you had me at the door/ Just hike this skirt up, a little more. A little more." …And so begins our ascent into 'Misty Medley'. 'Dance 4', the luscious standfirst to this weightless album, lifts the lunar bleepings of post-pop comrades Pretty Girls Make Graves and Bloc Party (KMD's recent touring partners), whilst sounding more developed than either. With a history in angles and dischord-style abrasiveness, it would seem the years that it took Kiss Me Deadly to reach this point have been hugely beneficial in allowing the band to fuse their influences into a coherent conception. 'Dance 2' begins with Casio palpitations & downbeat, Binary Loving bass swells. Slowly but surely, layers are built and plans laid as the Dance marches towards its summit. At the hub of this frenzy is Emily Elizabeth, her tongue dripping with sweet nothings that fizz and melt; the record imbibing all the slender huskiness that she dare lend. 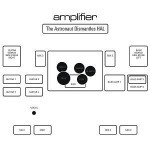 With skittering rhythm humid guitars begin to oscillate; the resultant cyclone scattering debris and whipping her up into such dizzy delirium that the only suitable release is an atmosphere-piercing shriek. The whole clattering thing narrowly avoids freefall, before veering off to seek new directions with steadier trajectories. In 'Pop', this stability is found; its Sparta-esque serenity commandeered by guitarist Adam Poulin as Elizabeth takes a brief respite. But a band so anchored in erratic habits could never hold the line for long; Misty Medley is often disorientated, cramped and desperately lightheaded; witness the woozy meandering of Poulin's memory lane in 'Lets' or the dim delicacy of the title track as two such pertaining exhibits. The way that this colours the music makes it more interesting to these ears than say, 'The New Romance'; purely because when it comes to post-rock I find it easier to fall for fugitives than have-a-go-heroes. As the band continue their orbit, heritage and legacy never drift far from their minds. Post-rock’s past is littered with the flotsam of stratospheric ambition; (Cedric Bixler's "I wish I was an astronaut" in 'Hourglass' is what most immediately comes to mind, though of course there is plenty to predate that). 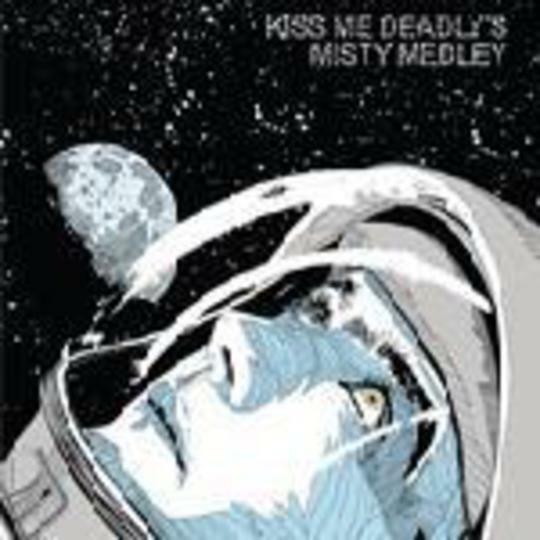 Here, Kiss Me Deadly add their name to this illustrious register, with an album that sees beats and post-rock meet perfectly at make out point. With the thought of Elizabeth’s breath on my neck clouding my vision, this album is at least a reason to believe that the moon landing was more than macho-posturing, and at most a reason to beam at the romance and nuance wrapped up in 49 minutes and 36 seconds of blistering hearts and bleeping guitars.